Relevance of posture assessment has been reported in case of spine disorders. This study explores the interest in quantifying posture using 3D reconstruction from biplanar X-rays in free standing position and a force plate. 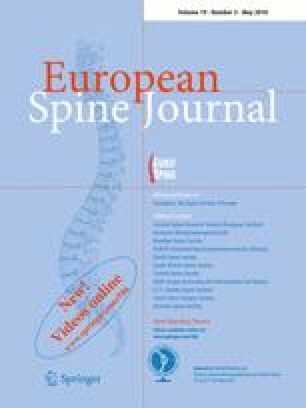 93 patients consulting for spine disorders were divided (‘3D deformity’, ‘sagittal imbalance’ and ‘mild deformity’) and compared with 23 asymptomatic volunteers. Registration of the gravity line (GL) in reconstruction yielded transversal position of the center of acoustic meati (CAM) T1, T4, T9, L3, S1 and hip axis (HA) with regard to GL. Transversal position of CAM and L3 appeared as relevant parameters to discriminate patients from volunteers. Sagittal inclination of the axis linking the CAM to HA was correlated with position of the CAM to GL (r = 0.92 for patients). In conclusion, observing posture in 3D with regard to GL provides clinical relevant information. CAM-HA inclination may improve postural evaluation without force plate. The authors thank all the team of the ‘service de chirurgie orthopedique et traumatologique B’, of the Pellegrin Hospital in Bordeaux for their sharing of point of view and the staff in charge of the EOS™ exams at the Pellegrin Hospital. The Authors also acknowledge the team of the Laboratoire de Biomécanique Arts et Metiers ParisTech, particularly Pr Thourot, and C. Fedelich for their technical help in the platform design and data collection for volunteers, and Virginie Lafage, from New York University Hospital, for her review of the text and fruitful discussion. Biospace med company is acknowledged for its support.